Safety response plans can help school districts with action-based responses when a crisis hits a campus. 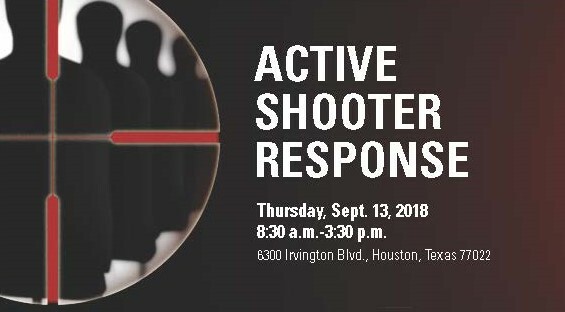 Veteran law enforcement officer John Biser joins Harris County Department of Education’s Center for Safe and Secure Schools on Sept. 13 from 8:30 a.m.-3:30 p.m. at 6300 Irvington Blvd. to introduce easy-to-understand school safety response plans. Biser, with 18 years of experience, is detective sergeant who supervises investigations, lie detector exams, computer networks, criminal intelligence databases and security video services. He works with the FBI, DEA, Secret Services and the Bureaus of Alcohol, Tobacco, Firearms and Explosives and has presented for Threat Assessment Consultants for six years. “By using basic knowledge and consistent communication, campuses can increase success in reducing damage during a critical incident,” said Center for Safe and Secure Schools Director Ecomet Burley. Biser shares “Standard Response Protocol” for terminology along with “Standard Reunification Method,” proven methods for planning, practicing and achieving successful reunification with students and their parents. To register for the training, go to www.hcde-texas.org/register and enter workshop number 12200. Cost for the training is $59, and parking is free.